Welcome to another New to Me Link Party! My New to Me activities this month are a bit of a mixed bag. 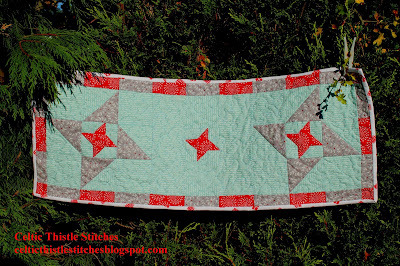 My Friendship Galaxy Table Runner from Leanne's newly released pattern! I really enjoyed testing this pattern for Leanne, and hope to use it again in the future. My Highland Fling cushion pattern, which I originally created for Sewing World, is now available as a standalone pattern just in time for Hogmanay! I have dithered about adding this to my Craftsy store given the VAT implications but have decided that as nearly all of my sales on the site are from US based customers, then I will cross the VAT bridge when/if I come to it. I may live to regret that decision! And my final New to Me is another new destination! It is the time of year for my annual Christmas Market trip with my daughters-in-law and this weekend we are heading off to Cologne. There will be 7 markets to visit so that should keep us busy :) not to mention lots of opportunities to indulge in the odd glass of Gluhwein! We can't wait. So that's my New to Me's for this month, now it is your turn to link up and share your successes or failures as we celebrate the trying of something new. 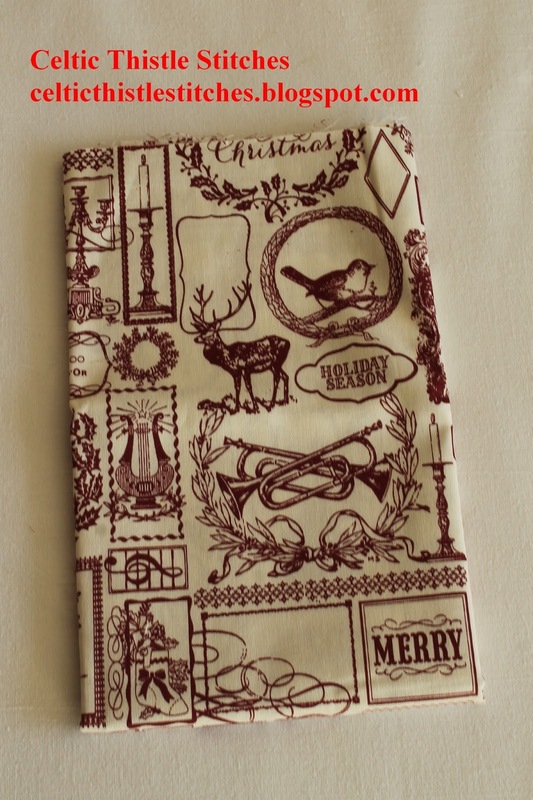 One lucky linker will be the winner of this lovely fabric! Looking forward to seeing what everyone has been up to. Seven markets with your daughters-in-law, that's an awesome new to me. Have fun!!! I love that cushion and hope you sell lots of patterns outside the EU. 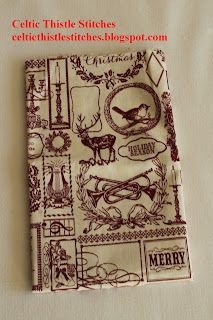 Ho, Ho, Ho and on We Sew - getting closer! Once a piecer, always a piecer!